I was attempting to make a red velvet cake in time for a birthday… and then I was forced to realize that it’ll take a while, if never, for me to actually master a red velvet cake to the standards of Just Heavenly (which has one of the better red velvets in KL that’s easily available to me). 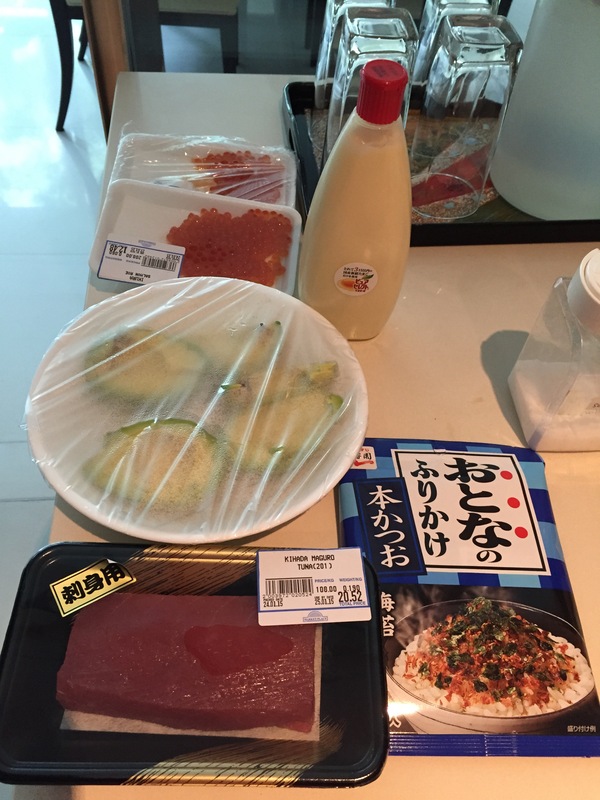 The decision was clear… since the birthday person is very particular about cake… that I’d have no choice but to buy the cake instead of making it at home. The only problem is that Just Heavenly cakes have the most awful designs. Their red velvet cakes have the ugliest pink and white blobs on top with disgustingly coloured sugar bits. It all looks very artificial and old-fashioned. 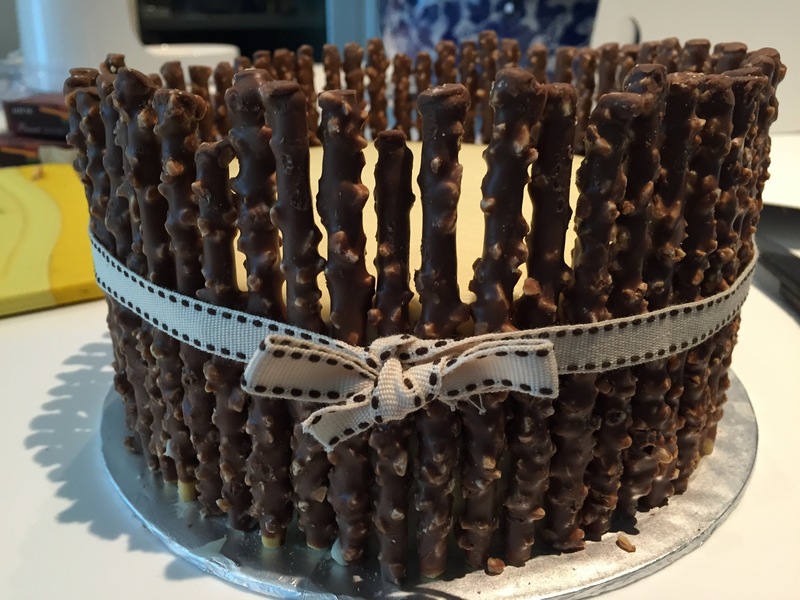 Well for this DIY cake, all you really need is a plain iced cake with icing all around the side (this allows the pocky/pepero to stick to the sides of the cake), and 8 packets of pepero/pocky – I used 7 packets of pepero with peanuts for a 6 inch cake. 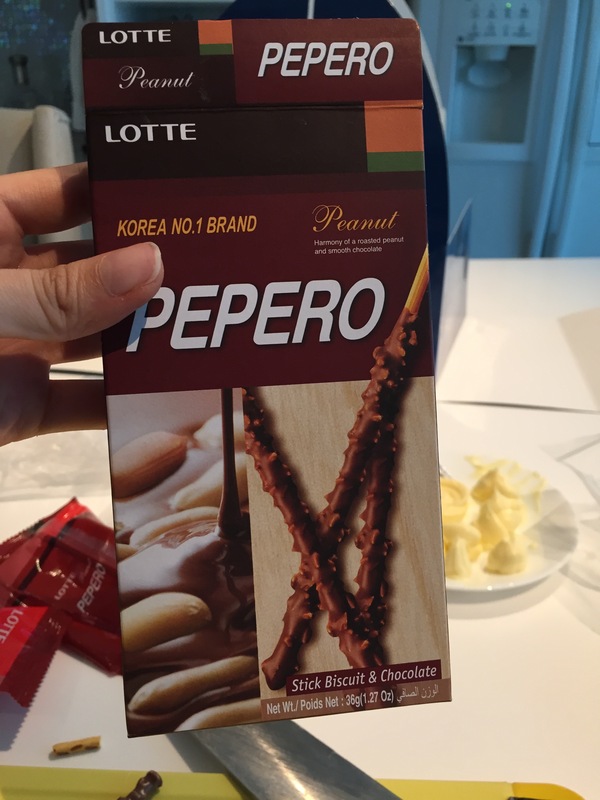 Of course you’d need more than 7 packets if you used pocky, since those pack more closely together. Other than that, you’ll require a piece of decorative string and fruits if you want to load the cake with it. It’s all up to you. So this is the cake without the ugly pink frosting on top and chocolate squares stuck to the sides. I removed the chocolate squares and set it aside for later. 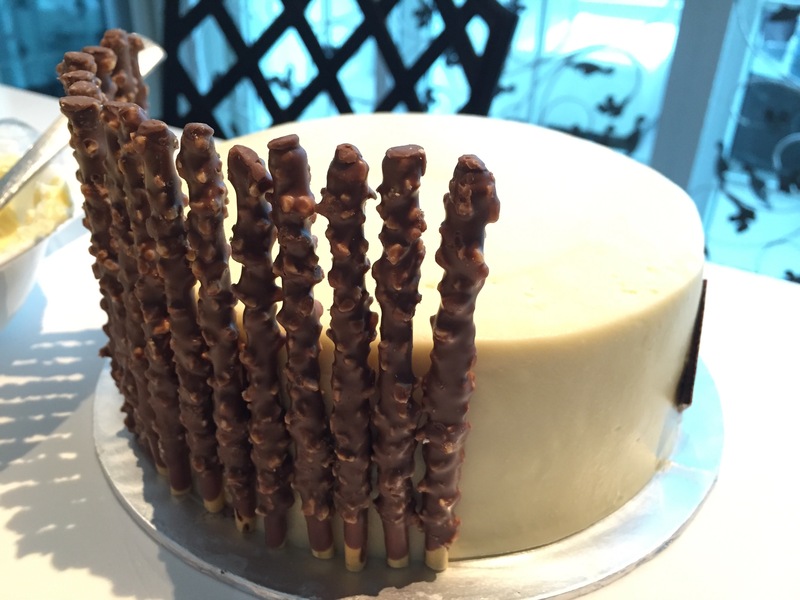 Remove the pepero or pocky sticks from their packets and trim them according to the height you’d like them to be when stuck on the cake. I just removed the non-chocolate covered bits. Press each stick lightly into the frosting of the cake, and pack them as tightly as possibly next to each other. 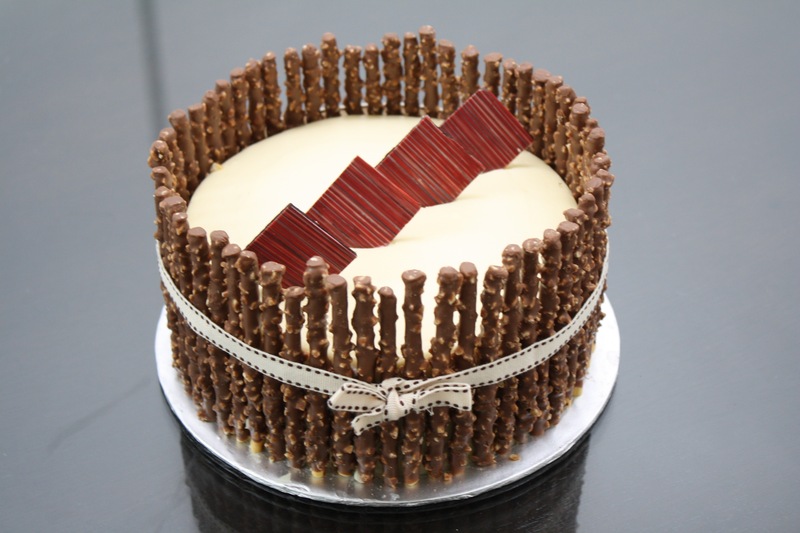 Continue all around the cake until it’s all surrounded in a pretty wall of chocolate sticks. 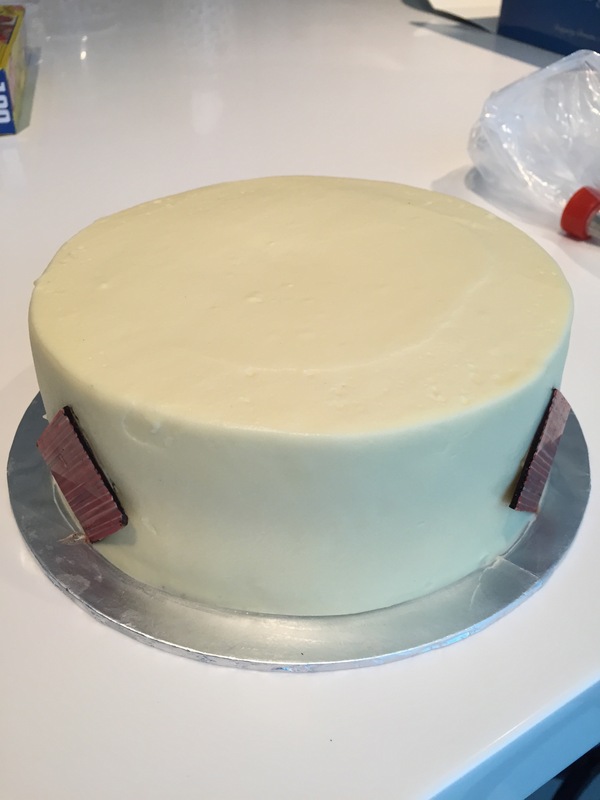 Once that’s done, tie a ribbon around the cake to finish. As for the middle bit, I’d thought of piling the centre with fresh strawberries. Those make for a beautiful cake. 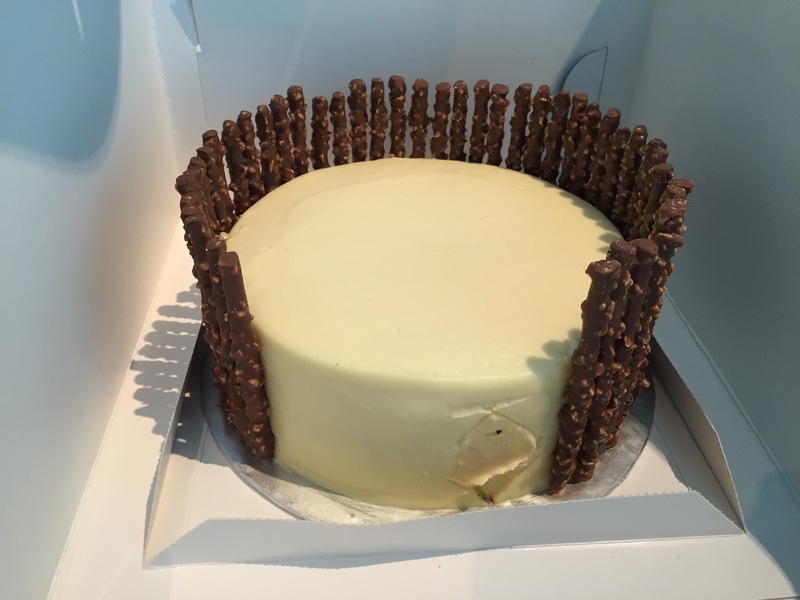 However since I needed the cake to last a while, I went without the fruit and stuck the chocolate squares in the middle instead. Simple and quick way to jazz up a cake!